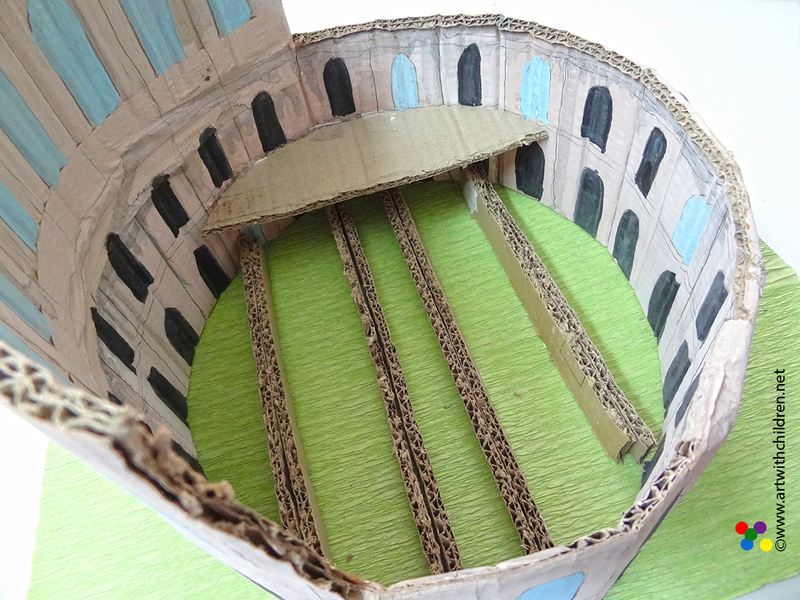 LAST MINUTE SCHOOL PROJECT : Making a model of the Colosseum using cardboard. 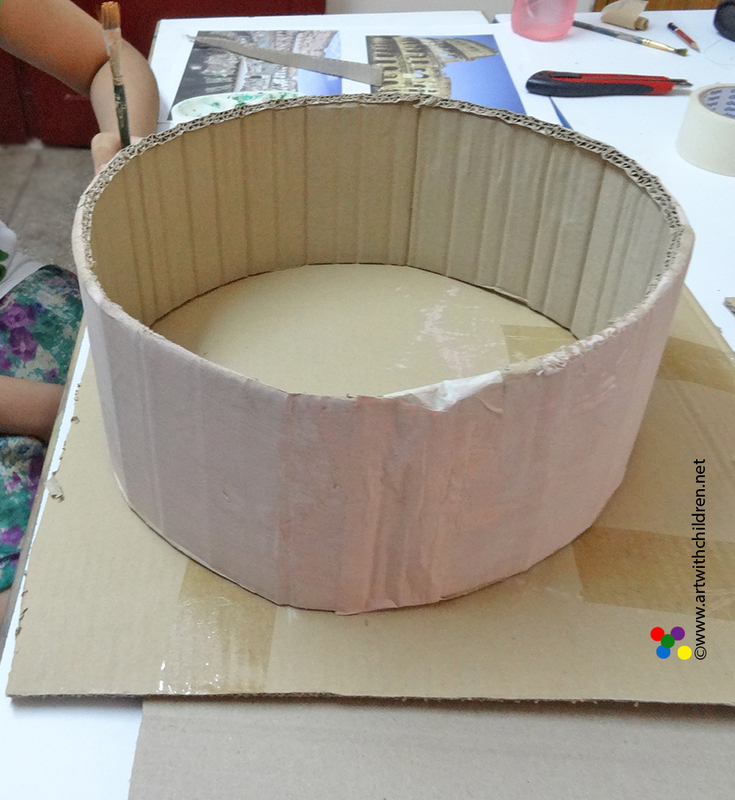 Children often come in with last minute projects to complete. 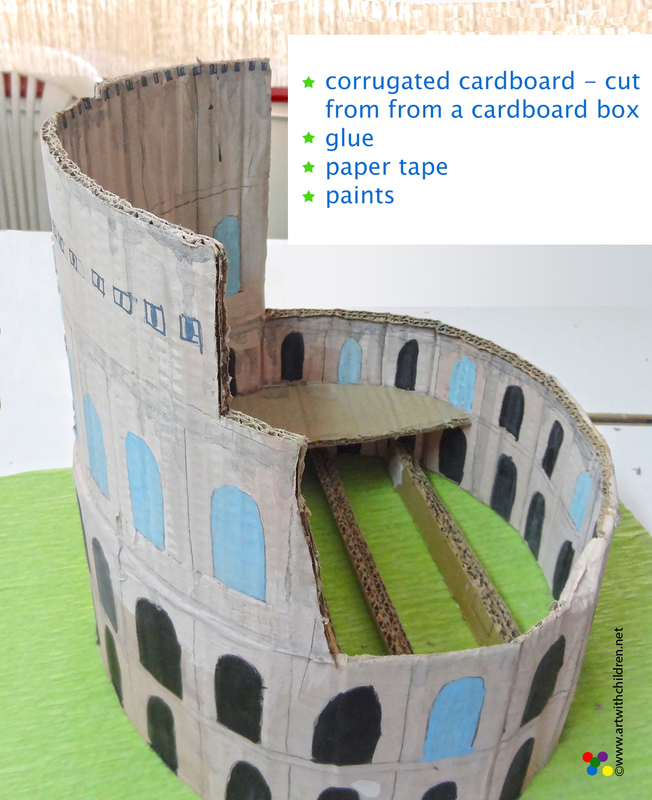 Here is one such example.We printed a few pictures of the Colosseum for guidance.Corrugated cardboard or cardboard box were used for the base and the main building. The cardboard cutout of a carton was easy to roll and secure, so it is better to choose a slightly softer version of cardboard. 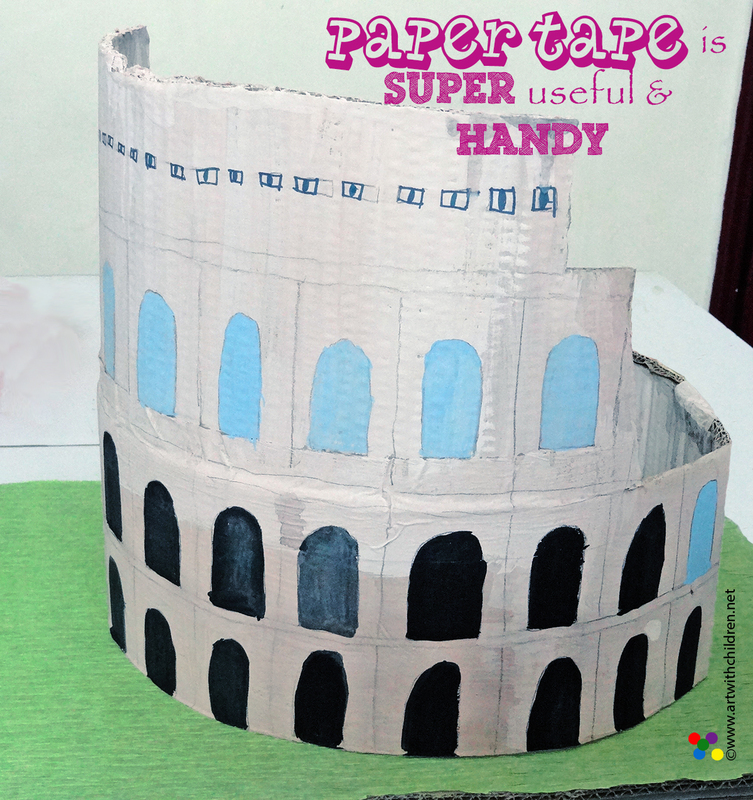 Paper tape was good to secure the shape and later painted so it doesn't show that much. Being a school project I prefer to use paints the student is more familiar with due to the time constraint so we used poster paints. For the base we covered a rectangular piece of cardboard with a green sheet of crepe paper. I must say that it turned out impressive for a quick project! The best part was when Manya carried it home with a big smile!